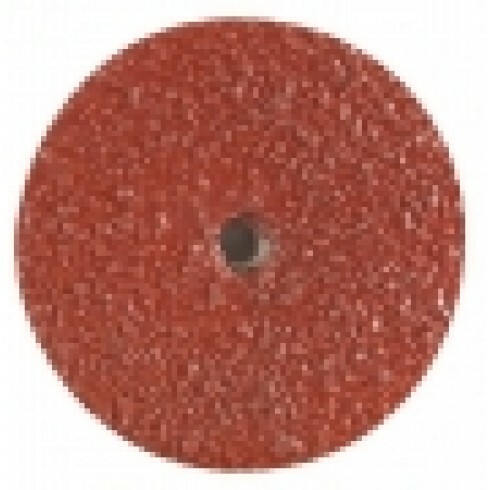 Gemtex Resin Fibre Discs are manufactured using a multilayer, heavy duty vulcanized fibre as backing, which is then covered with a resin bond coat specially designed to resist loading, glazing and grain stripping. This bond coat is then covered with mineral abrasive grains formulated for toughness and sharpness. Gemtex Resin Fibre Discs are Type "A". They have superior grinding performance because of a premium aluminum oxide resin. The superior blend of alloys and bonding agents that deliver fast cutting rates and longer useful life. The Type A are the next step up from Gemtex's Type C resin fibre disc.